Glamour meets edgy in this gleaming ring set. Grace N. Reviewed by Grace N.
The thin band makes these rings look very elegant and delicate. I ended up wearing just the two bigger rings of the set, one on each hand. didnt like the look of them stacked. I love these minimalist rings. Lots of ways to wear them! Lysandra H. Reviewed by Lysandra H.
They are such good quality and I love that even stacked all together they don’t look like too much! 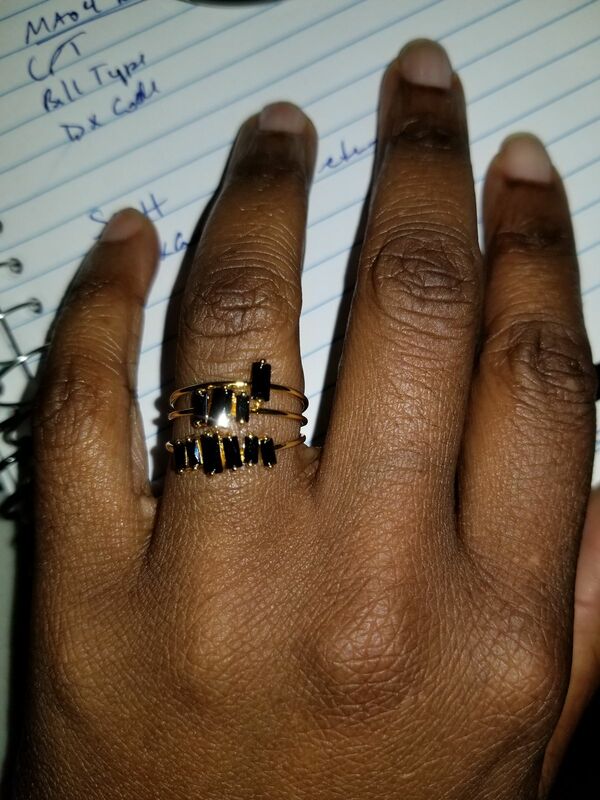 Wanda H. Reviewed by Wanda H.
Robyn D. Reviewed by Robyn D.
These are beautiful rings. The ring size and the size of the piece itself is perfect. I am rough on my hands. Uve worn these daily for two weeks with no issues.